Get latest national and international news in English from The Hindu with The Tutors Academy. 1. 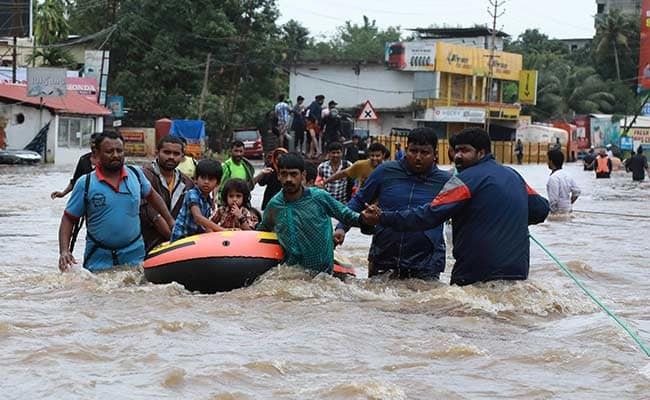 Prime Minister Narendra Modi on Saturday announced immediate financial assistance of ₹500 crore to rain-battered Kerala after reviewing the flood situation, even as rescue operations continued in Pathanamthitta and Thrissur districts amid heavy rain. 2. The Myanmar-based Shangnyu Shangwang Khaplang faction of the extremist National Socialist Council of Nagaland, or NSCN-K, has ousted the last of its ‘Indian’ leaders. Mr. Konyak, 70, is a Naga of Indian origin. A China-trained rebel, he had taken over as chairman of the NSCN-K after Khaplang died in June 2017 in a Yangon hospital after prolonged illness. After the impeachment, the outfit has appointed Yung Aung, 45, as its acting chairman. Like his uncle Khaplang, he belongs to the Hemi Naga community, native to Myanmar. Get daily international news in English, to crack all competitive exams with The Tutors Academy. 3. Pakistan’s new Prime Minister Imran Khan was sworn in at a ceremony here on Saturday, ushering in a new political era as the former cricket captain and World Cup hero officially took the reins of power. 4. The Prime Minister of United Arab Emirates (UAE) and ruler, Sheikh Mohammed bin Rashid al- Maktoum, has ordered the formation of an emergency committee to provide relief to deluge-hit Kerala. 5. India’s Ambassador to the UAE, Navdeep Singh Suri, said he would chair a meeting on Sunday with community organisations and business leaders to coordinate relief support. 6. 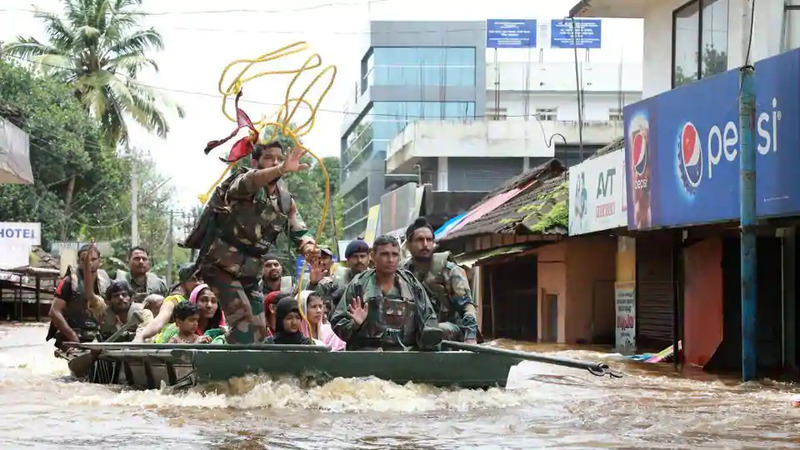 The National Disaster Response Force (NDRF) said on Saturday that it has evacuated over 10,000 people from the flood-hit areas as part of its biggest relief and rescue operation till date. 7. In about a week’s time, an entire forest division in Assam will start moving 160 km northeast. The one-horned rhino of the Kaziranga National Park (KNP) is the reason for this “long march”. On August 14, Assam’s Environment and Forest Department issued a notification saying the KNP had been split into two divisions — the existing Eastern Assam Wildlife and the new Biswanath Wildlife — for “intensive wildlife management”. The Brahmaputra separates the two divisions straddling a total area of 1,030 sq.km. Kaziranga had an area of only 232 sq.m when it began its journey as a proposed reserve forest on June 1, 1905. The KNP officials said the creation of the Biswanath Wildlife Division, with headquarters at Biswanath Chariali in northeastern Assam, will entail relocating the Central Assam Afforestation Division at Hojai 160 km away. In fact, the afforestation division has been renamed a wildlife division. Study daily national current affairs and international news in English. 8. From September 1, the Union Health Ministry will impose a highly controversial ban on the retail sale and private manufacture of oxytocin, a life-saving drug for new mothers. The reason for the ban is the misuse of oxytocin in dairy animals, like buffaloes, to increase milk production. The government’s April ban order refers to a 2016 Himachal Pradesh High Court judgement, which said daily oxytocin injections made cattle barren and reduced their lifespans. In addition, it claimed that drinking milk from oxytocin-treated cattle led to male impotence, early puberty among women and cancers. 9. Bijapur, or Vijayapura as it is now known, was the capital of the Adil Shahi dynasty from 1490 to 1686. It is famous for its impressive buildings and dargahs. Undoubtedly, the most magnificent mausoleum is that of the seventh ruler of the dynasty, Mohammad Adil Shah (1627-1656), called the Gol Gumbaz (round dome). 10. Researchers from Jawaharlal Nehru Centre for Advanced Scientific Research (JNCASR), Bengaluru, have developed a new type of gold in the form of very small crystals — microcystallites. The microcrystal gold has been found to be nobler than gold — it do not dissolve in mercury and Aqua regia (a mixture of nitric acid and hydrochloric acid), and showed the least interaction with copper. 11. 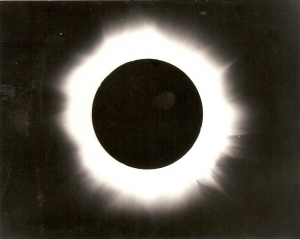 On August 18, 1868, helium was discovered by astronomers studying the sun during a total solar eclipse. The site of this discovery was none other than the Andhra coast. It is the only element to have been seen in the sun before it was known to exist on earth. 12. Plants need iron as a micronutrient. To absorb it from the soil, they produce a chelating agent. Recent research published in Science shows that some pests use the presence of these chelating agents to detect the source, namely, their potential host plant. They also seize the iron for their own use. 13. Formation of new blood vessels, a process also known as angiogenesis, is one of the major clinical challenges in wound healing and tissue implants. To address this issue, U.S. researchers have now developed a clay-based platform to deliver therapeutic proteins to the body to assist with the formation of blood vessels. The technology introduces a new type of two-dimensional clay (called nano-silicates) that delivers multiple specialised proteins (called growth factors) into the body to stimulate new blood vessel formation. To allow blood vessels time to form, the clay is designed to prolong the release through its high surface area and charge characteristics. The clay nanoparticles work like tiny weak magnets that hold the growth factors within polymeric hydrogels and release very slowly. The prolonged release of physiologically relevant doses of growth factors is important to avoid problems due to high doses, such as abrupt tissue formation for example. 14. What is laser chaos? Lasers are an inextricable part of semiconductor technology and these special beams are used in a range of applications — from welding and cutting metal to reading compact discs and scanning barcodes. But a long-standing problem with lasers is that being products of light, they have inherent instabilities which make them ‘incoherent’. The relative degree of this incoherence is called laser chaos and, often, users must choose between a powerful semiconductor laser with poor output quality or a coherent, but much weaker, laser. The instabilities in the laser are caused by optical filaments — light structures that move randomly and change with time causing chaos. By overcoming laser chaos, scientists can create ultra-bright 3D laser cinemas, or have them as elements in extremely bright laser systems used in nuclear fusion reactors. There could be a solution. In a paper in Science, an international research team has described how has been able to prevent laser filaments using a technique called ‘quantum chaos’. Jairam Ramesh, who is fast becoming our foremost chronicler of the Indira Gandhi years, has produced a life of P.N. Haksar, her “ideological compass and moral beacon from May 1967 to January 1973, guiding her through her magnificent achievements: the nationalisation of banks, coal and oil refineries, abolition of privy purses, victory over Pakistan…” and so forth. In telling Haksar’s story, he relies on the voluminous papers that lie in the Haksar archives at Nehru Memorial, letting him speak for himself through the documents. This has both advantages and disadvantages. The reader is brought into direct touch with primary source material and can almost hear Haksar’s voice. But the extensive documentation also crowds out commentary, analysis, and context that younger readers might have found useful. Amy Chua’s book with its commendable political injunctions about getting active in politics, discarding tribalism and valuing facts, goes to the heart of the crisis of the current damage to democracy and the rule of law with an overriding vision that prescribes a fearsome struggle for the survival of values and ideals that remain dear to freedom-loving people dreaming of a life of coexistence. A journalist, writer and Communist Party activist’s autobiography (Fragments of Time) takes us back into a not-so-distant past which appears to be distant because of the phenomenal changes that have taken place the world over since the last decade of the 20th century. Whether class or race is the more important factor in modern politics is at the heart of recent history’s most contentious debates. To escape this deadlock, Haider turns to the rich legacies of the black freedom struggle and argues that identity politics is not synonymous with anti-racism, but instead amounts to the neutralisation of its movements. A former general in the Pakistan Army who headed the Inter-Services Intelligence (ISI) from 1990 to 1992 writes of the challenges faced by the country in the last decades. Though critical of Pakistan’s civil and military leadership, Durrani argues that the real causes of her travails differ from what international observers have come to believe. After his bestsellers Sapiens and Homo Deus, which looked to the past and future respectively, Harari explores the present. He tries to answer questions like how can we protect ourselves from nuclear war, ecological cataclysms and technological disruptions? What can we do about the epidemic of fake news or the threat of terrorism? What should we teach our children? What is the state of India’s national security apparatus? With a turbulent West Asia, an assertive China and Pakistan in the grip of the military, a former deputy national security adviser outlines key aspects of the country’s security network and how they interface to confront internal and external conflicts. He also outlines other areas of concern like cyber security. An anthology brings together stories about Saadat Hasan Manto, essayist, scriptwriter, and a master of the short story, by friends, family and rivals, among others, Ismat Chughtai, Krishan Chander, daughter Nuzhat and nephew Hamid Jalal. They offer a glimpse of the making of a legend even as they reveal Manto as a complex man of many contradictions. 16. Udit Gogoi hit an ace on the third match point to clinch the boys’ doubles title in partnership with Chirag Duhan in the Road to Wimbledon UK under-14 tennis championship on Saturday. Udit and Chirag outlasted Billy Blaydes and Jonah Gethin 6-3, 0-6, [10-5] in the final. President of Pakistan – Mamnoon Hussain. Meaning – Charge (someone) with treason or another crime against the state. Meaning – Charge (the holder of a public office) with misconduct. Get daily updates of national and international news in English, to crack all competitive exams with us.